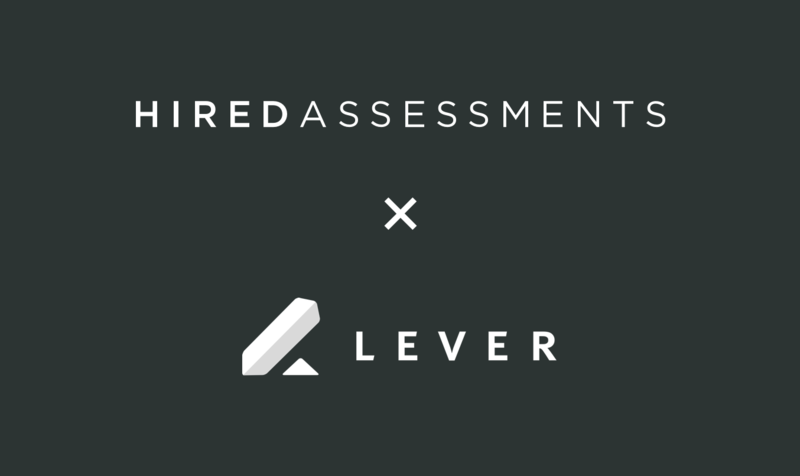 We're excited to be partnering with Lever to enable our customers to more easily assess with Hired Assessments. This integration allows you to automatically send assessments via Lever. Below are instructions on how to set up the integration. Do not delete the API Key from Lever Settings, or the integration will stop working! Lever API Key: the API Key provided to you by Lever. Stage Name: the name of the Lever stage that will trigger a Hired Assessments test ("Trigger Stage"). You can specify multiple Trigger Stages if you wish. Default Hired Assessments Test (Optional):For each Trigger Stage, you can optinally set a Default Hired Assessments Test to be sent. Provide your Hired Assessments Account Manager with the stage name(s) in Lever that should trigger a Hired Assessments test. You can optionally provide a default test for a given Trigger Stage. Pass Threshold (Optional):If the candidates scores at or above the Pass Threshold, the candidate will automatically be marked with the tag "Hired Assessments - Pass". Fail Threshold (Optional):If the candidates scores at or below the Fail Threshold, the candidate will automatically be marked with the tag "Hired Assessments - Fail". 2. Request from your Hired Assessments Account Manager the Lever Webhook URL. Once you receive this URL, add it to the "Candidate Stage Change" field in Lever. Once you've completed setup, any candidate who reaches your Trigger Stage will be sent a Hired Assessments test. You'll then be able to see the status in a tag on the Lever candidate. Once the candidate has been sent to Hired Assessments, they will receive an invitation from Hired Assessments via email to begin the Hired Assessments test. Once they've completed the Hired Assessments assessment, the tag in Lever will change to "Hired Assessments - Needs Review". Once Hired Assessments sends Lever a result, a link will be added to the links section with the Hired Assessments report. During setup, you provide a default test to send to all candidates that reach the Trigger Stage. However, you can also send different tests for different roles and candidates! In order to override the default test, simply add a tag with the name of the test to the candidate's profile before advancing them to the Trigger Stage!